You don’t get paid for blogging. No one will pay you to blog. A blog makes money depends on two factors: the size of the blog audience and the way you monetize the blog. Blogging is a business. As a business owner, your earnings depend on your decisions and business performances. A successful blog business owner brings home millions of dollars. A poor blog business doesn’t even make enough to pay for its hosting. Before anyone can answer the question of how to get paid for blogging, one needs to know the blog audience and the method of monetization used by the blog owner. How To Get Paid For Blogging – My Business Method. As a blogger, here’s my profile, I make money blogging about the ways to make money online. I focus on building my blog by generating traffic and carefully monetizing it to maximize profits. How I get paid for blogging is documented in a popular eBook, ‘The Business That Makes Me A Millionaire,’ which you can download a free copy to read in your free time. Yes, blogging is what I do, but the activity of blogging doesn’t bring in money. If you want to become a rich blogger, you must master the techniques of building an audience and blog site monetization. You must be wondering why then do I need to blog if I am not getting paid for blogging? Well, blogging is the first step in building an audience. The purpose of blogging is to keep your blog alive and interesting to attract visitors. Visitors to the blog site are your audience. Technical experts call this ‘traffic volume’. 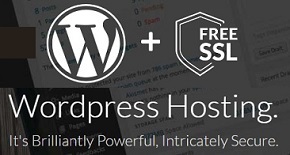 Businesses and advertisers only interested in the size of the blog audience. They have no interested in your writings. As long as your blog offers the targeted audience that they are after, they will pay to have access to the audience. That is how you get paid for blogging. Let assume you understand the foundation of building a blog. If you don’t, I suggest you take this 10 Free Lessons by Wealthy Affiliate to learn the process of starting a blog from scratch. 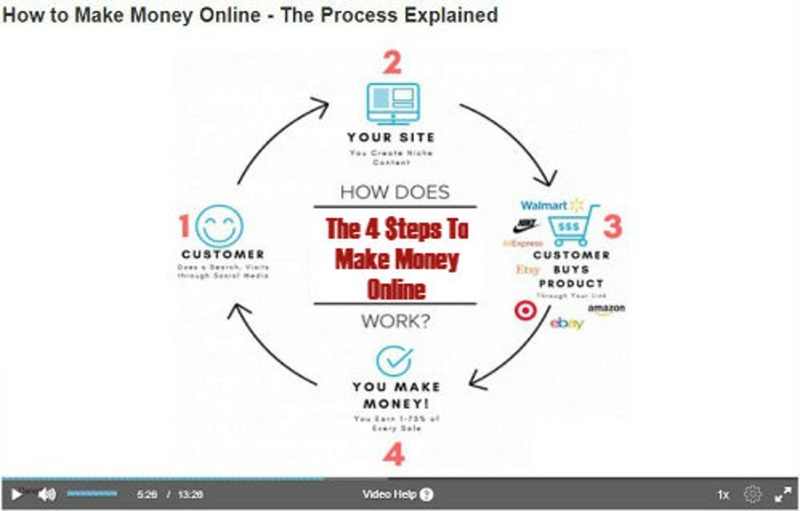 You must at least have some idea of the process of making money online to understand what I am going to talk about in this article. If blogging is new to you, I suggest you take a few minutes to watch the video below before continuing reading. This video explains why traffic and monetization are important in determining how to get for blogging. Build An Audience To Get Paid For Blogging. Building a well-targeted audience is the most difficult task of the blogging business. Many bloggers fail to make money because their blog doesn’t generate enough traffic to support the site monetization approaches. The reason we blog is to attract readers and build followers. Marketing experts consider Blogging as a form of content marketing. Content marketing is a marketing strategy that offers free valuable or informative content to earn trust and build a relationship with a targeted group of audience hoping to convert them into customers. You don’t have to be a good writer to run a successful blog site. If you want to get paid as a blogger, you must learn to create digital marketing content. This is what successful bloggers do every day. Content marketing generates traffic by building a relationship with readers. Good Writer Never Get Paid For Blogging. You believe that you are a good writer, even your friends and families said so. You decide to launch a blog to show off your write talent. But what are you going to write about? You can’t just write anything. Your writing must offer some value to readers. Otherwise, no one reads your blog. People go online not to read anything. We use the internet to search for information hoping to solve a real problem or improving our everyday life. We use the internet for entertainment, finding information, or to learn (education). These are the values that we look for from a blog. As a blogger, you must decide what your blog is all about. This decision is called ‘Choosing A Niche Audience.’ Marketers refer to this group as a Niche Market. A niche audience is your fans and supporters. These are customers that paid you to blog. Finding and selecting the right niche audience is the first thing a blogger must do before sitting down to blog. If you don’t know how to find a profitable niche audience or niche market, I suggest you read this article “What Is A Niche Market?’ to help with the process of identifying your own audience. No matter how well you write, if there is no audience interested in your material, your blog is worthless. Help The Audience Discovers Your Blog. Your target audience must be able to find your blog. If no one can find your content on the internet, you have no audience. There are several ways for bloggers to promote their content. These include using search engines, social media networks, and paid online advertisement. Search Engine Optimization (SEO) is the primary method for bloggers to promote their content and build an audience. SEO is not easy, but with the right training, you can achieve a massive followers from organic searches. If you are new or don’t know SEO, here’s a free lesson teaching The SEO Process. You should take this lesson to learn the fundamentals of SEO. I highly recommend this. A successful blogger must learn the fundamental SEO techniques to create ranked content. Contents ranking is an algorithm used by online search engines including, Google, Yahoo, and Bing to position a web page on the search engine result page (SERP). You want the content of your blog to rank high on the SERP to reach a wider audience on the internet. The process to create ranked content starts with Keyword. Keywords are words or phrase that people enter the search bar to find information on the internet. If you want to get paid for blogging, you need to learn how to incorporate keywords into your content. This is the only way for readers to discover your blog. The process of creating SEO friendly content is too broad for this article. If you are interested in learning more, you can use this lesson, ‘Steps To Create Ranking Content,’ to understand more. Social media networks have become a major part of our life. We spend more time on social media sites than watching TV. These platforms not only allow bloggers to promote their content to reach a larger audience, but it also gives readers a way to connect with the writers and interact with their content. The most effective form of social media promotion is allowing your readers to share your content on their own social media account. When someone else sharing your content, it becomes much more valuable to the readers. All bloggers must promote their content on social media networks to build an audience. You don’t have to be present on every social media site. You just need to be on one. There are many lessons and article teaching people how to promote their content through social media. I include this lesson, ‘Way To Amplify Your Social Presence,’ to share with you how I use social media platforms to build an audience. Using Online Ads to Build An Audience. Some bloggers use this option to promote their blog. I, however, don’t like this method and have never used online advertisement. Be careful when advertising your blog online. Readers might confuse your content for advertisement. They will downgrade the value of your blog and might negatively affect your brand. Bloggers blog not to get paid for blogging. They blog to build a long-term relationship with a targeted audience. The audience is the bloggers’ customer based which they can utilize to make money online. Blog Monetization Is How To Get Paid For Blogging. A blog site should never monetize until it has an established audience, sufficient traffic. New and inexperienced bloggers usually design and launch their blog around the products that they are interested in promoting. They launch their blog to monetize a product, not to build an audience. Most of these bloggers will quit or fail within 6 months. You need an audience/customer to promote products, and you need to offer the right products to make a sale. The ability of a blogger to convert potential customers into paying customers is how bloggers get paid for blogging. Many bloggers make the mistake thinking blog site monetization to mean adding more earning options on to the blog. However, the blog site monetization is the process of converting the blog audience into customers using content marketing to achieve this goal. Therefore, you cannot monetize a blog without an audience. When confronted with the question of how to get paid for blogging, most bloggers will cough up a list of 20 or 50 ways to monetize a website site, including the popular affiliate marketing, advertisements, sponsor post, and more. Offering monetization advice without the proper knowledge of the audience interests is reckless. I always suggest people learn about the blog audience first before monetizing it. It’s more important to build trust with the audience, than making commissions. You don’t need 50 ways to monetize the blog. You only need to use monetization methods that are relevant to the audience to get paid for blogging and make millions. A successful monetization process requires careful planning and understanding of your target audience. You must offer something that’s relevant to the blog content or risk losing readers and sales. Finally, How To Get Paid For Blogging? A blogger gets paid for blogging by building a loyal and targeted audience, which allows him/her to monetize and make money. I build this blog based on the same principle. The business principle that has helped others became successful paid bloggers. 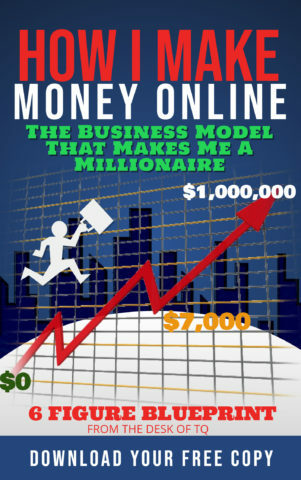 I suggest you download a copy of my eBook, ‘The Business Model That Makes Me A Millionaire,’ to keep as a guide to assist you in the process of creating your own successful blog. Building an audience for the blog requires the use of content marketing. Content marketing allows bloggers to build trust with readers. Based on this trust relationship, it is easier for bloggers to recommend products or services that are relevant and helpful to the readers. That is how the blogger get paid for blogging.